Didn't get enough time to plan a Holy Week out-of-town vacation for your whole family? How about a hotel-staycation until Easter Sunday? Hop over to The Peninsula Manila and celebrate with Champagne brunch and an Easter egg hunt with your family and friends. 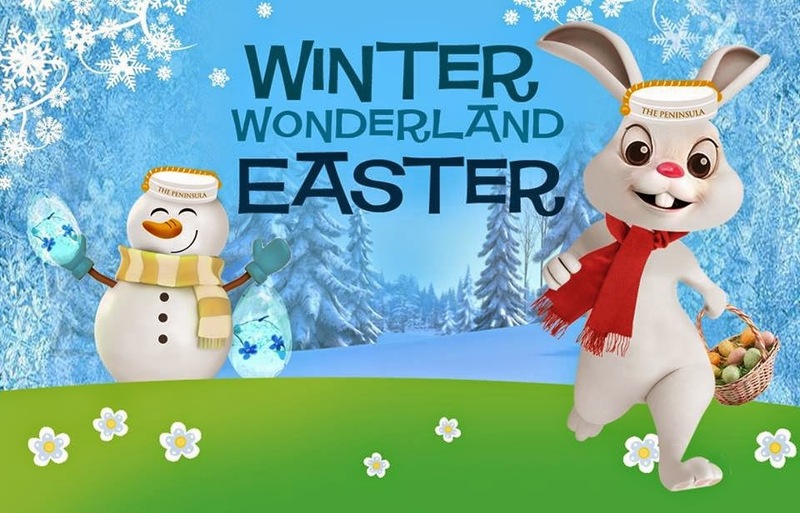 The Peninsula Manila is set to hold a winter-themed celebration at its food and beverage establishments this Easter. There will be a Winter Wonderland Easter Egg Hunt at the Rigodon Ballroom at P1,200 per person. Two children per table at the Sunday brunch at Escolta or Spices can come in for free. Guests can have brunch at Escolta and Spices from 12-3PM. Rates are at P1,200 per child under 12, P2,200+ per adult and P3,100 with a glass of champagne. Also, have an Easter Lunch in Old Manila at P 2,200 for a three-course menu or P 2,800 for a four-course menu and an Easter Tea Buffet at The Lobby from 2:30-5:30PM on April 20 at P975. A Delice Francais afternoon tea will be held at The Lobby at 2-6PM from April 17 to 20. Rates are at P1,580 per adult and P800 per child under 12. 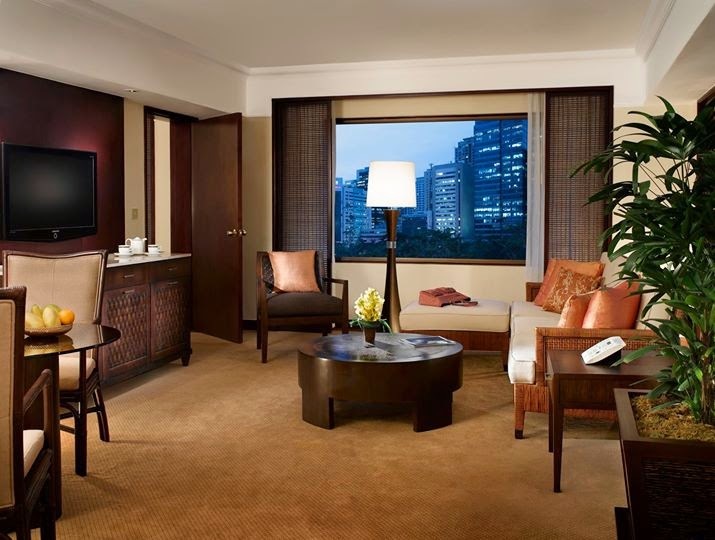 Meanwhile, The Peninsula Manila is also offering Easter room packages for guests who will stay at the hotel’s Premiere Suite until April 20. 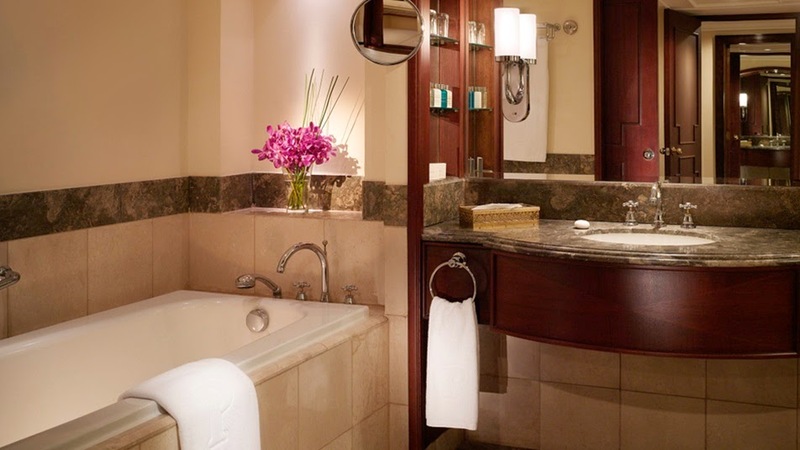 Rates are at P16,800 per night (One Egg in a Basket), and P16,000 per night for two nights (Two Eggs in a Basket). The suite stay includes halo-halo for four at The Lobby or lunch/dinner for two in Escolta, a special Easter gift, daily buffet breakfast at Escolta for two adults and two children under 12, complimentary club access, unlimited local calls, free wired and wireless Internet access, and use of The Peninsula Fitness Center and outdoor swimming pool. Its too bad that I only found out today had I found out we would have done our staycation there. I'm just a few blocks away from the Peninsula Manila but it would be nice to try to stay at Manila Peninsula to try their facilities. These are great offering from the Peninsula Manila, though the rates are bit hefty, Surely those can afford will enjoy the fun and amenities. Happy Easter. I am seriously thinking of having a simple staycation with my family this May. I hope I can make it happen. I'm sure the egg hunting game will be enjoyable for the kids, it is also a great deal for families this Easter.